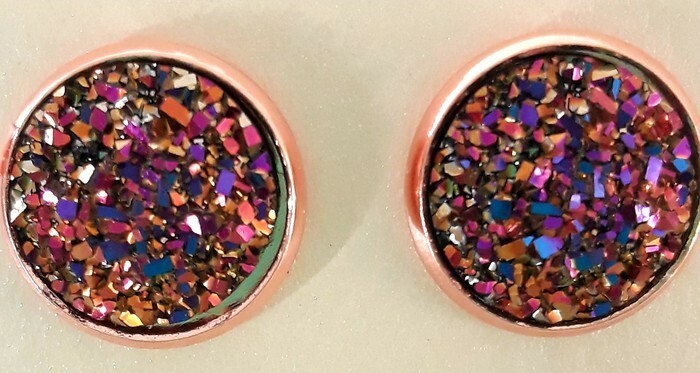 Stunning rose gold and pink druzy stone, 12mm, made from glass and resin set in your choice of rose gold or bright gold bezel (leave us a note at checkout). Stainless surgical steel post. These little studs work with everything, dressy to your denim casual. See how many compliments you get wearing these little beauties.